Most etymologists, those who study where words come from, believe that the word “humour” is derived from the same root as the words “human,” “humility” and—my favourite—“humus,” meaning “of the earth, connected to the dirt, soil”—that which makes things grow, where things are real, gritty and full of nutrients. To laugh is to be grounded in the best possible way. A sense of humour is a proclamation that I am fully human. It is a sacred space. 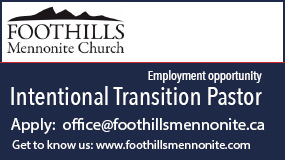 On a path to be a Mennonite pastor, I had gone back to school at age 30 in order to prepare for seminary, along with three small children, a supportive wife and a congregation sponsoring us. While an undergrad I took an acting class, and fell in love with this art form. In those acting classes and productions, I discovered the mystical and spiritual life for the first time. Theatre helped me to see the world of the invisible, showing that forces greater than ourselves are at work and play in the world. I had discovered who I was: I was an actor. At around that same time, I met Lee Eshleman, who became my comedic soul mate, and for the next 20 years we created six full-length theatrical and comedy shows, carved out a business and a full-time living in the performing arts—a task of love, sweat and determination. We were exploring life and sacred texts with an eye toward what was askew, peculiar and, above all, where was the funny? Always, what was funny? It was a celebration of laughter as a healing art, a teaching method, an absolute affirmation that humour is a profound and indispen-sable societal lubricant. Much of our material was mining the humour in the biblical story. We felt if you could find the humour inherent there, you would discover a deeper human story, and then perhaps come to a greater understanding of the ongoing dynamic, frustrating, mystifying relationship between God and humankind. Lee made me laugh more than anyone ever had before. It was the genesis of our relationship and the glue that enabled us to endure conflicts in creative decision-making, not to mention some years spending more time together than we did with our spouses. Transferring to the stage what made the two of us laugh was the simple formula of writing and performing live. We were each other’s incubator partner; if it made us laugh, there was an excellent chance it would do so for an audience. Laughter was our method of illuminating both our relationship with the people we met and performed for, but also a way to understand the world, as well as God—until Lee’s suicide in 2007. And the laughter pretty much stopped for me. Lee had been dealing with depression pretty much the entire time of our friendship and creative partnership, and that spring he lost the battle. Lee’s struggle was a paradox: Someone who made so many people laugh, and consequently embrace their full humanness, had profound doubts about his worthiness and connection to the God we wrote so much about. His death destroyed the business and cast into doubt whether I could continue writing and performing for a living. It was difficult to envision being able to induce laughter from the stage, but it was equally difficult to envision a life without theatre. I would say, five years later,* I’m certainly not an expert on healing or being a survivor of suicide. 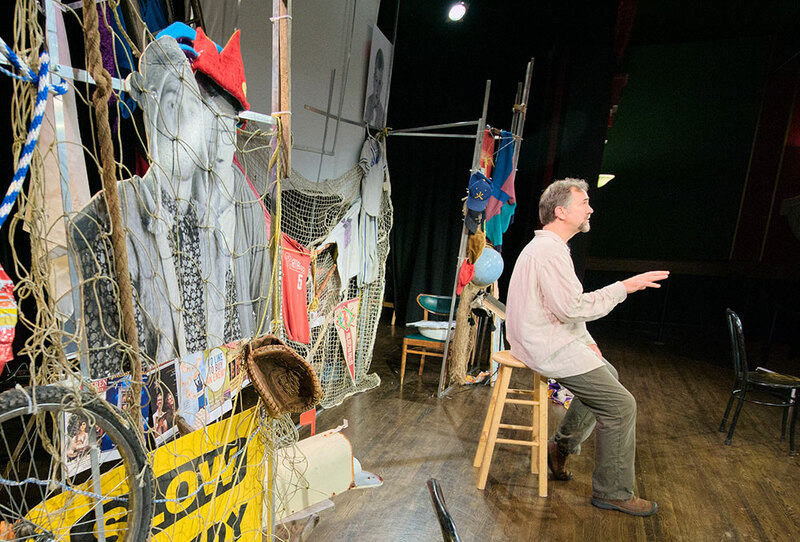 I will say, though, that theatre and art still hold keys to my identity and recovery. In those five years, I wrote plays, creating and producing in an almost manic manner, paradoxically both running from and embracing grief, anger and guilt. Not coincidently, perhaps, it produced some of my best work. The laughter, like a dormant perennial, began to return. Laughter never stopped being sacred space; it just took me a while to find that space again. Art, theatre and laughter were the barometers and light posts back from my own depression and grief. While humour remains the launch point for all my work, it’s different now. There is a depth, a shadow, a perception only earned through grief and determination. Lee used to say laughter is a sign that we are never too far from the love of God. I believe he was right. This blog entry originally appeared Sept. 20, 2012, on the Huffington Post website. Reprinted by permission of the author. 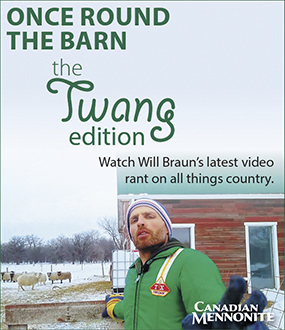 Canadian Mennonite’s "Focus on Funny" (March 17, 2014 issue) includes this feature and The 100 percent clean comedian. For reflection and group discussion, go to the discussion questions related to these two articles.